Michele is a multiple award-winning producer, playwright, director, co-creator, administrator, advocate and activist with 30 years experience in the professional arts industries and voluntary sector. She spent the first 15 years of her career working with major theatre and film companies like Alberta Theatre Projects (fund development), Theatre Calgary (stage management), One Yellow Rabbit (turn-over crew), Lunchbox Theatre (fund development), The Arts Touring Alliance of Alberta (school touring initiative), Robert Cuffley Films (sound recording and mixing), White Iron Productions (lighting and electrics) and many others. She spent the last 15 years exclusively prioritizing equity & diversity in the arts through her own company, Stage Left Productions – a conduit of artistic innovation and cultural freedom for diverse artists, a leading contributor Canada's Deaf, Disability & Mad Arts Domain and a global Centre for the Theatre of the Oppressed. Michele is also the founder and co-Chair of The Deaf, Disability & Mad Arts Alliance of Canada (a nascent National Arts Service Organization) and founder and co-Chair of the Calgary Collective for Equity & Diversity in the Arts; both are initiatives that she developed through Stage Left. Through Stage Left's Full Spectrum Arts Equity Program, Michele serves as an arts equity consultant to The Professional Association of Canadian Theatres, an arts equity advisor to the Canadian Dance Assembly, and a member of the Board of Directors for the Canadian Arts Presenting Association. She's also facilitated arts equity literacy training for the BC Arts Council, Arts Commons, Orchestras Canada. Opera.ca, Calgary Arts Development, and quite a few others! Through Stage Left's Applied Arts Program, Michele is currently facilitating Theatre of the Oppressed capacity development, with advocates in Indigenous Health & Wellness and Public Health Policy: Drs. Lynden (Lindsay) Crowshoe, MD and Cindy Jardine, PhD. 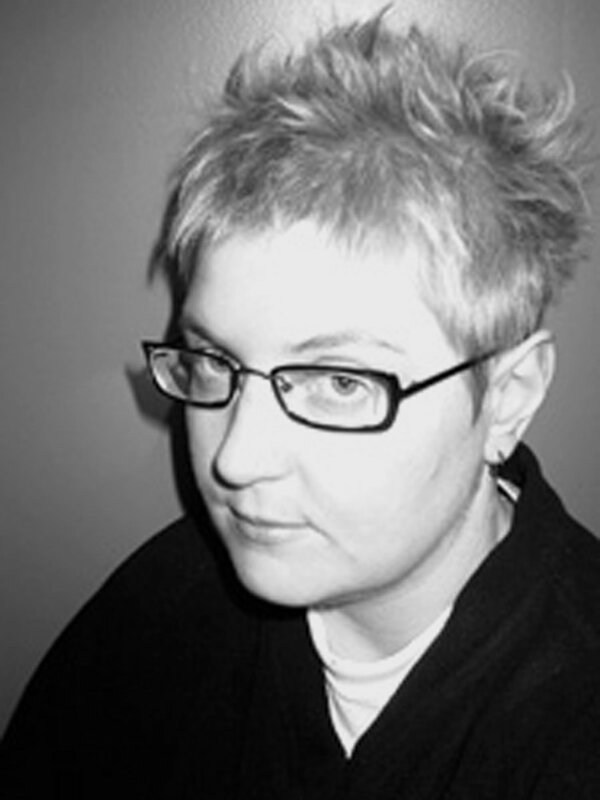 As an under-educated, working class, lesbian feminist artist/ activist with several invisible disabilities, Michele's artistic vision is necessarily concerned with the development of artistic and cultural practices that foster rather than negate diversity. Her art work is multidisciplinary, collaborative and radical – using the arts to challenge dominant social paradigms that render difference invisible and/ or undesirable in society. While pursuing a full-time career as a professional artist, Michele also held many "day jobs" with several activist groups, social justice organizations and human service providers – collaborating with diverse communities to affect both individual and structural change. She graduated with distinction from Mount Royal College’s Theatre Arts Diploma Program, and managed to get a largely self-directed BFA in Secondary Drama Education from the University of Calgary. She also took professional broadcast, film and video production training at SAIT. In her non-working life, she enjoys protecting nature and the non-human animals that live in it, paddling, snowshoeing and spending time with cats, birds, lizards, frogs, weevils and some people.